Motorola and HP proved that companies can make tablets with UI as usable, if not more so, than the iPad. Now, with the iPad 2 being announced next week, Apple is the one that needs to play catch-up to others. But is it possible without drastically retooling iOS? The problem is that instead of designing an interface explicitly for tablets, as Google did with Android 3.0, Apple just took the existing iOS phone interface and engorged it. That was fine for a Gen-1 tablet, but now that a year has passed and many major designers have the benefit of actually seeing how people use these devices, the iPad feels clunky in comparison. A phone on a tablet is really just not enough anymore. These are some major issues that need to be addressed. Why is it when an app notification or an IM comes in, your current activity gets interrupted until you deal with that horrifically annoying popup? This is the number one usability complaint right now on both the iPad and the iPhone. HP solved this problem with the notification tray on the top right. Messages and events come in unobtrusively, allowing you to deal with them in a stack all at once—swiping them off if you want to ignore. Google's method is more visually prominent, but offers greater functionality. Any app can place control schemes in the notification popups, so you can respond or reply without having to open up the apps itself. Both HP and Google's schemes the functionality of not being modal—which is to say, you don't have to deal or dismiss them immediately to do anything else. So how does Apple fix this? BiteSMS, the jailbreak texting app, gives a hint at what they can do without drastically changing the OS. It doesn't make popups less intrusive, but at the very least you can interact right inside the notification. But iOS has a notification tray there on the top, it's just a matter of letting app developers use that instead of a popup. Switching between apps on a tablet isn't easy. Google lets you hit a button and pop up the last 5 used apps by thumbnail, which is great if you're only using a handful of apps. It's similar to the way Apple does things now, plus thumbs. HP's matches web OS on the Palm Pre, which is letting you scroll horizontally between open apps. Again, there are app thumbs to see clearly what you're switching to. And, the TouchPad actually lets you stack instances of apps in a pile, so different browser tabs or IM windows can their own entry in the stack. Apple's current multitasking tray is decent, but it's not perfect. It's already shows the most recent 7 apps, but the number of taps needed to switch tasks is too many. And if you're doing something like writing a document, you're usually using a web page or an email as reference. It would be nice to have a split-screen view to have two apps take up half the screen each. Or, Apple can port Expose, like multiflow (a jailbreak app). If they can combine the usefulness of seeing thumbnails of open apps with a gesture to trigger Expose view, they can cut down app switching to two motions (swipe and tap). HP did a very smart thing by rewarding customers who have both an HP phone and an HP tablet. By placing a Pre on top of the TouchPad, they can share information with each other wirelessly. Right now HP's only enabled URL sharing between the two, but it's very easy to see app syncing, photo transferring and music sharing coming in later updates. It's great added functionality, and it encourages people to invest in the ecosystem. Android does this as well, pushing stuff from the Chrome browser to your phone or tablet. Another bonus of having both HP products: You can respond to texts and answer calls from the tablet, provided the phone is in range. There's not a whole lot Apple needs to change from HP's implementation. Have your iPhone trade apps, links and photos when you touch it to your iPad. Have them talk to each other so you don't need to pick up your phone to respond to texts, just doing it on the iPad when the two are in range. Google finally launched their web marketplace, which lets you view apps in a browser. You can also buy apps right there and have them sent wirelessly to your phone/tablet, something that's completely obvious and straightforward that you wonder why Apple hasn't done it already. Having your apps and music wirelessly sync to your iPad would be great, and keeping them automatically updated based on settings you choose in iTunes would be even greater. 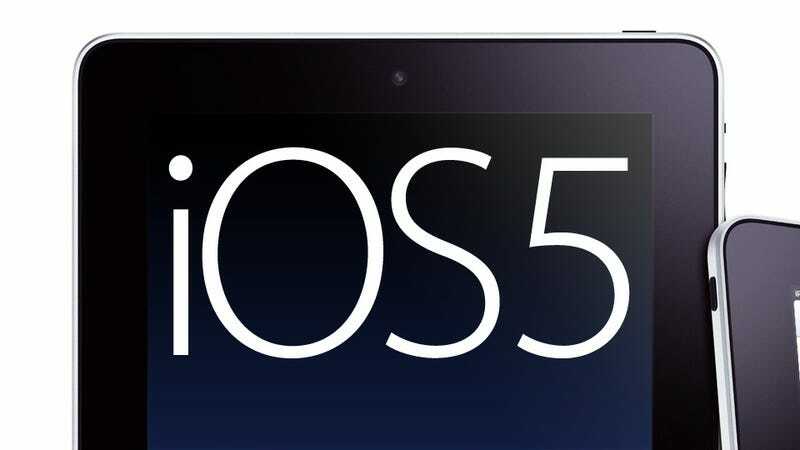 It's very likely that Apple will be unveiling new software features for iOS 5.0 alongside the iPad 2 announcement. It's also very likely that they'll address the multitasking issues as well, since the rumors for that have been ramping up. But will whatever they introduce be as good as what HP and Android have added to tablet interfaces? Is the luxury of having one unified UI structure for both iPad and iPhone worth the limitations it places on Apple's tablets? It's hard to say.